If there’s a brand that’s been planning their #NewYearNewYou for some time, it's got to be Hermès, as the French label celebrates the new year with the unveiling of a new address in Landmark Prince’s. With over 9,000 sq. 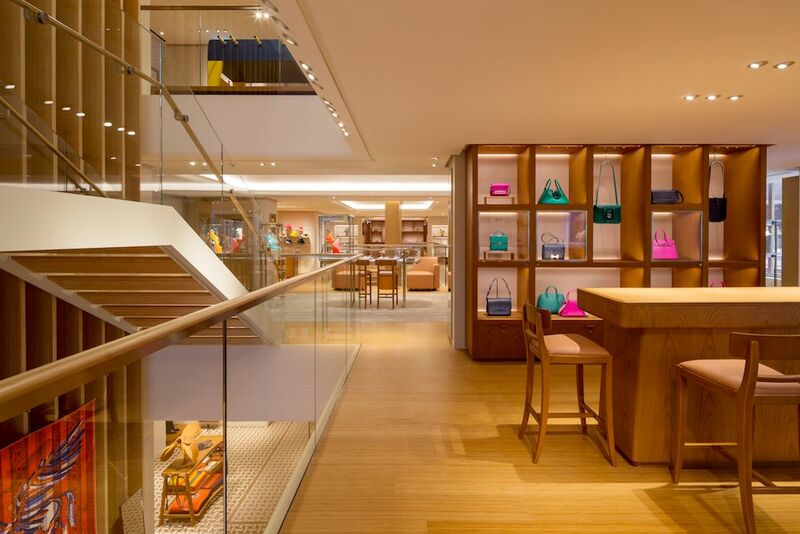 ft of retail space across three floors, the new flagship is designed and created by French agency RDAI under the lead of Denis Montel, who oversees the artistic direction of Hermès boutiques worldwide. The façade features a modern interpretation of three-dimensional bamboo scaffoldings, a common scene for our city, which allows natural light to fill the boutique. The store also boasts designated areas for silks, perfume and jewellery, as well as men’s and women’s ready to wear and leather goods and accessories. A VIP room, which houses fine jewellery, is also tucked away on one of the floors. The boutique will be open to the public from January 11, 2018, onwards. Opening hours are Monday to Saturday 10:30AM-7: 30PM, Sunday and Public Holidays: 11:00AM to 7:00PM.